Help sort the number birds in the odd and even trees! 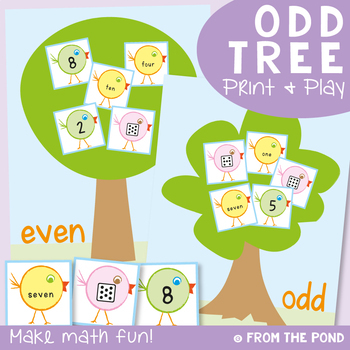 Print and laminate this game/activity to help your students consolidate their knowledge of odd an even numbers. The number bird cards have numerals, number words and dot patterns from one to ten. A worksheet has also been included in this file.